Don't forget to check out our resources section! Wouldn’t it be great if you could nurture leads into sales automatically? If you could send emails to potential leads that were always relevant? If your sales pipeline was always full and your conversion rates always increased? With drip email marketing, these things are possible. Drip email marketing, otherwise known as drip email campaigns, automates part of your marketing and sales process to convert leads into customers. It can take some time and effort to get set up, but once you’ve got it up and running—it just does its thing. In this article, we’ll discuss more about how drip campaigns can be the overlooked time saver your business needs. Broadly speaking, there are two categories to email marketing: email blasts & drip campaigns. Email blasts are sent to subsections of an organization’s mailing list as standalone messages. They usually contain generalized information with a brief and explicit call to action (CTA). A blast email is fairly basic, since it’s not personalized. They’re fairly simple to write and send, so they’re a popular choice with many businesses. Drip marketing campaigns, on the other hand, are personalized emails sent as a series over a specific period of time. A drip campaign uses targeted email lists and specific content that’s tailored to the needs or interests of that subset of customers or potential customers. Once configured, drip marketing automatically sends emails to segments of your contacts based on time elapsed or other criteria. Drip campaigns, also known as drip marketing, automated email campaign, drip email campaigns, lifecycle emails, autoresponders, and marketing automation, is one of many marketing strategies used by savvy marketers today. They are a communication strategy that “drips” a series of messages to customers, leads, or prospects over time. Drip campaigns are usually email-based, but other media can also be used. Basically, drip campaigns give people the right information at the right time. Emails are sent based on specific timelines or user actions—for example, when a user signs up for an account or clicks through to your website but doesn’t complete a purchase. The email messages are all written in advance, and a timeline is built for the campaign. As a very basic example, let’s say a user signs up for an account on your website. A “thank you” email is sent immediately. Another email is scheduled for one week later with a tempting offer. The next of these sales emails is sent two days after that, with a valuable coupon. Because these emails are previously written, you don’t have to do anything. The drip campaign sends the emails out on the schedule you created. How Does a Drip Campaign Work? Drip email marketing campaigns can send messages or other content based on parameters like time or action. Let’s say your business exhibits at a local conference. You gather the email address of the contacts you made, and add them to your prospecting list. You might not want to send the same emails to people who aren’t your customers yet. 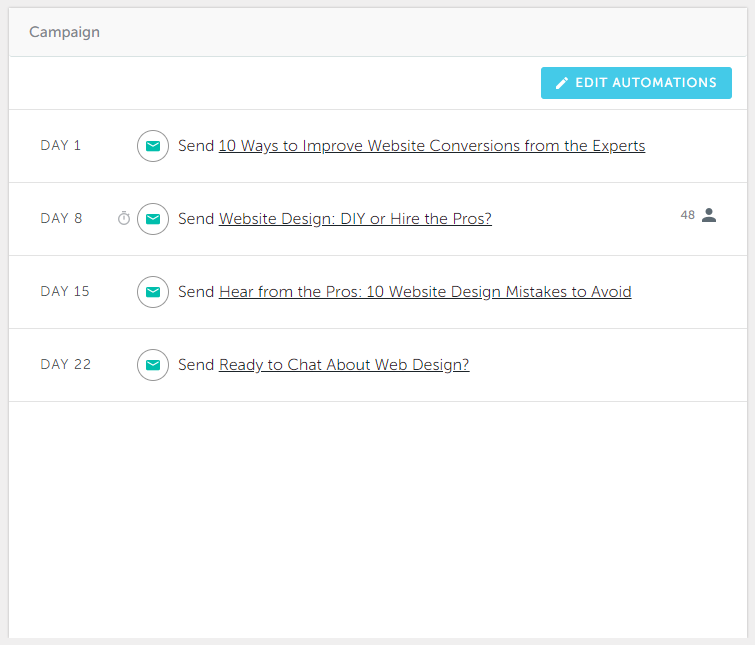 Instead, you can set up a drip email campaign that introduces leads to your business. Here’s an example of a time-based drip campaign: The first email might go out the same day of the conference, the second is sent the next week, and a final email in the campaign is scheduled for the week after that. An example of an action-based drip campaign might look like this: new leads receive an email when they sign up for your list. They receive an email with an offer and click the call to action. They enter your sales funnel and become a customer. Now they are moved to a list for customers. Your customer list sends periodic emails with enticing offers to drive repeat business. 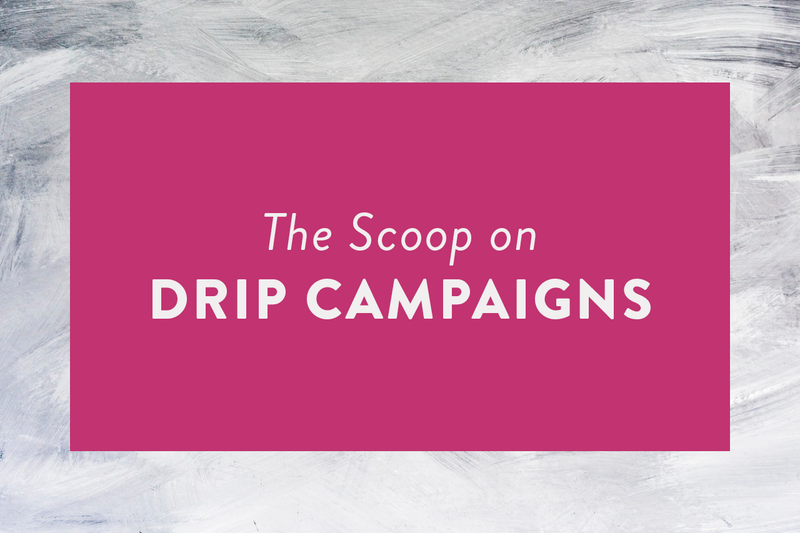 The best reason to use drip campaigns is because they’re effective. According to Zapier, “people who read your drip emails are far more likely to click the links in them, with a 119% increase in click rate from drip emails.” Drip emails help by automating tedious early-stage sales processes by delivering timely information to users while creating and nurturing leads. To pull off your drip campaign strategy, you need marketing automation software to deliver your emails based on your unique requirements. With marketing automation software, you can track the behavior of your contacts across your website and see how they interact with your email campaigns. Then, create your email drip campaign to send the right message at the right time. You have a form on your website where your visitors can request an checklist for optimizing their website design. Since you know that these visitors are interested in web design, it’s the perfect opportunity to nurture them with relevant, timely emails. Add a Tag, “Interested in Website Design.” This is useful for segmenting these prospects. 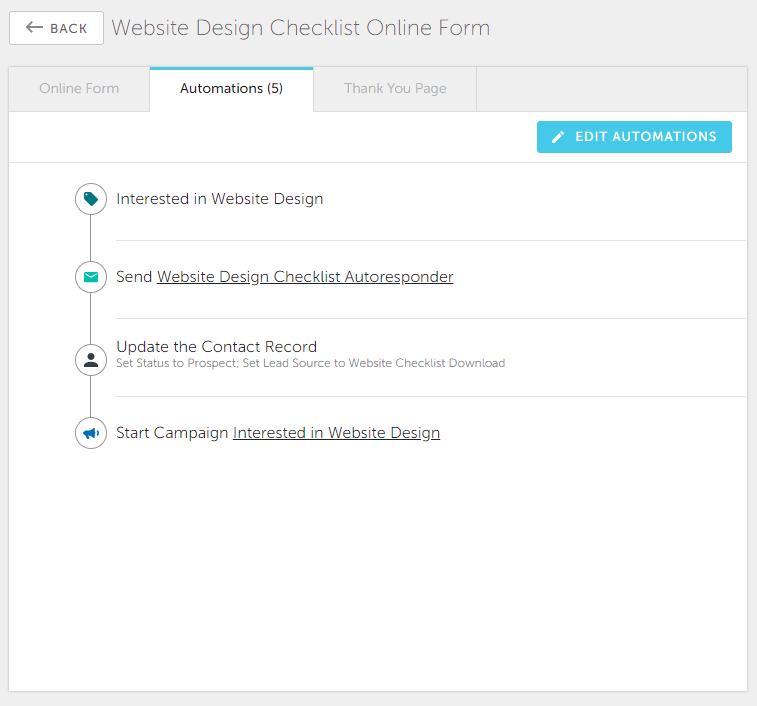 Send an Autoresponder email that contains the checklist requested from the download form. Now, when a potential customer requests the checklist for optimizing their website, you can follow-up with them and stay top-of-mind, all through your simple, yet powerful drip campaign. Can You Ever Win Unsubscribed Prospects Back? You go to depths that others won’t to capitalize on opportunity. or as effective at propelling relationships into sales as Hatchbuck. Does Your Marketing Agency Have a Client Retention Problem?